The International Ski Federation (FIS) spread a message of clean sort at the Alpine Junior World Ski Championships in Davos. 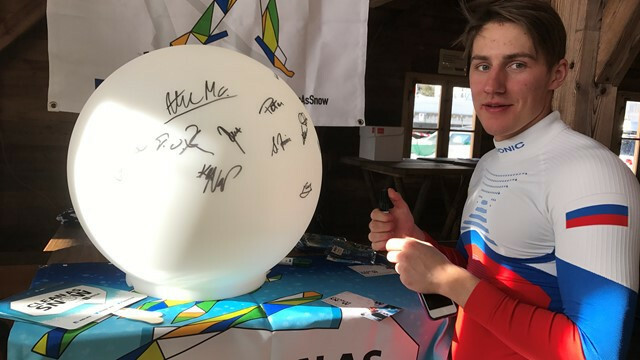 Young athletes were invited to show their commitment to clean sport by signing an illuminated snowball in the team hospitality area of the competition venue at the Swiss resort. The initiative was supported by Italian Daniela Merighetti and Austria's Hannes Recihelt, who are both Alpine members of the FIS Athletes' Commission. On the anti-doping initiative, Merighetti said: "We all train very hard to get to the top and we do it cleanly. 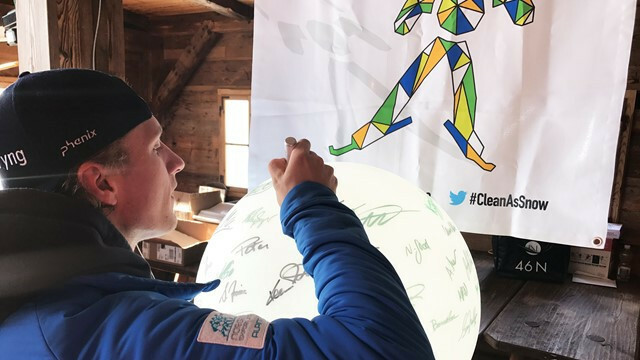 "We asked the young athletes to join us in showing their support for the FIS Clean as Snow campaign by sharing their commitment with the world." Super-G world champion Reichelt added: "As senior athletes, we are role models for the next generation and we would like to share the important message with the young athletes that it is possible to go out there and win medals while competing clean." The initiative comes amid the Russian doping crisis, with the country accused of an illegal covert drugs operation at their home Sochi 2014 Olympics. Athletes from the country are being forced to compete as neutrals at the Winter Games in Pyeongchang, South Korea, which opened today. An anti-doping campaign event also took place at the last two editions of the FIS Nordic World Ski Championships in Lahti, Finland, and Falun, Sweden.